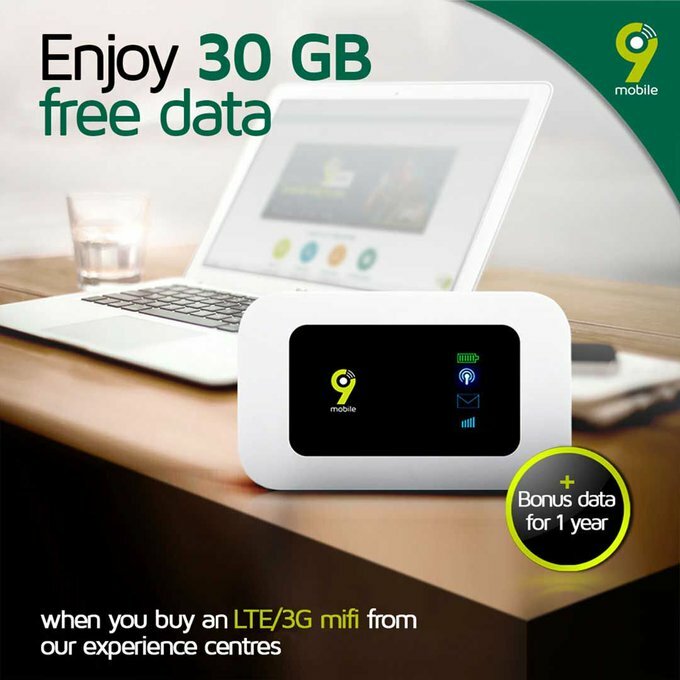 9mobile is back again with their amazing offers and this time they entices their customers with free 30GB worth of data when they purchase their 3G or 4G Mifi from any 9mobile Experience Center Nearest to them. Download Scooper News App Now and get free airtime, unlimited data, iphone x, dubai trip and real cash to your bank account with ease. learn more about the app By Clicking Here. 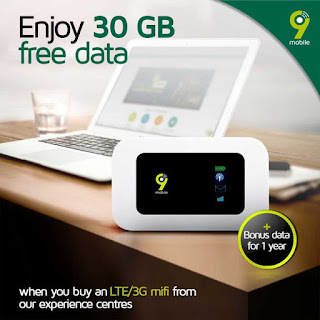 As usual this update came directly from 9mobile Social Media Handle and it's blazing hot but for you to enjoy this offer you've to purchase either the 3G or 4G Mifi. As I have earlier said, kindly walk into any 9mobile experience center nearest to you and purchase either the 4G LTE Mifi or the 3G Mifi.